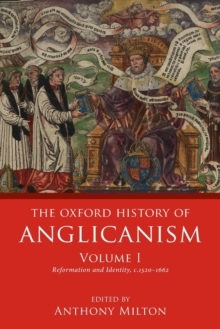 The Oxford History of Anglicanism is a major new and unprecedented international study of the identity and historical influence of one of the world's largest versions of Christianity. 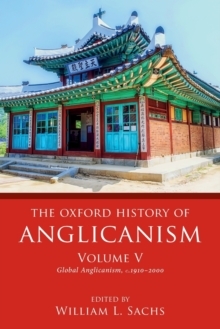 This global study of Anglicanism from the sixteenth century looks at how was Anglican identity constructed and contested at various periods since the sixteenth century; and what was its historical influence during the past six centuries. 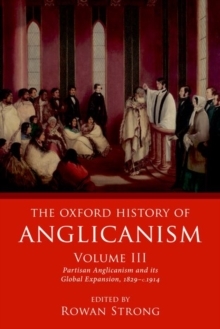 It explores not just the ecclesiasticaland theological aspects of global Anglicanism, but also the political, social, economic, and cultural influences of this form of Christianity that has been historically significant in western culture, and a burgeoning force in non-western societies today. The chapters are written by international exports intheir various historical fields which includes the most recent research in their areas, as well as original research. The series forms an invaluable reference for both scholars and interested non-specialists. 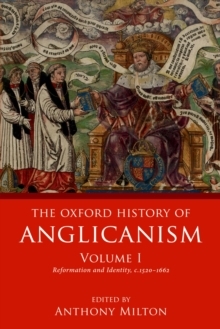 Volume two of The Oxford History of Anglicanism explores the period between 1662 and 1829 when its defining features were arguably its establishment status, which gave the Church of England a political and social position greater than before or since. The contributors explore the consequences for the Anglican Church of its establishment position and the effects of being the established Church of an emerging global power. 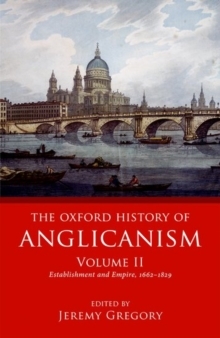 The volume examines the ways in which the Anglican Church engagedwith Evangelicalism and the Enlightenment; outlines the constitutional position and main challenges and opportunities facing the Church; considers the Anglican Church in the regions and parts of the growing British Empire; and includes a number of thematic chapters assessing continuity andchange.